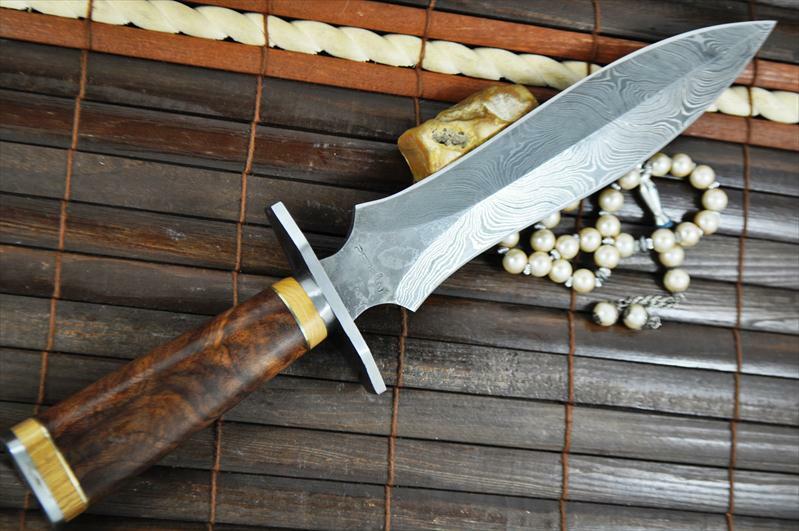 Overall Length : 14.0 inches Damascus blade length: 9.0 inch Burl Wood Handle 5.0 inches Damascus pattern is unique in each blade. 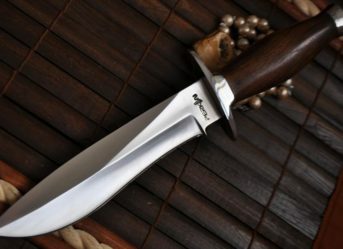 Beautiful big Knife! 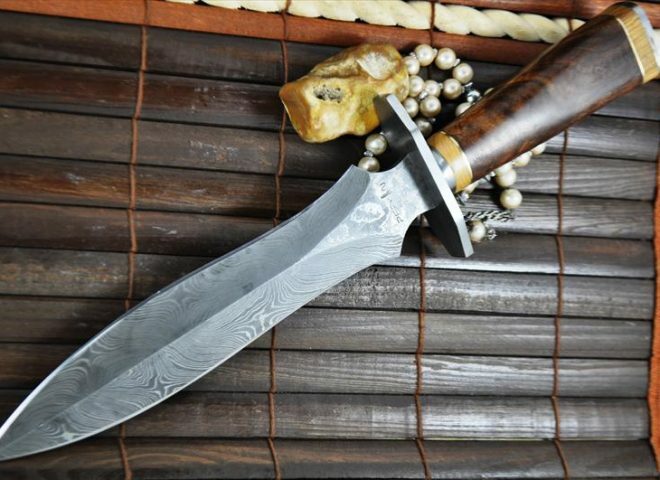 Outstanding Damascus pattern. 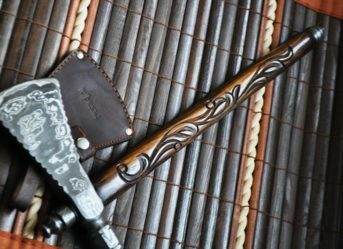 Sheath is well made. Could not be happier! This knife is a Beast! 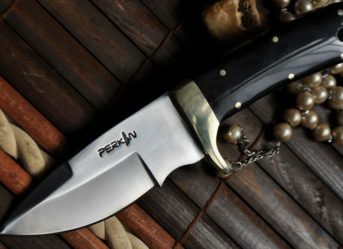 This knife is both BEAUTY and the BEAST. A must have for a collector. 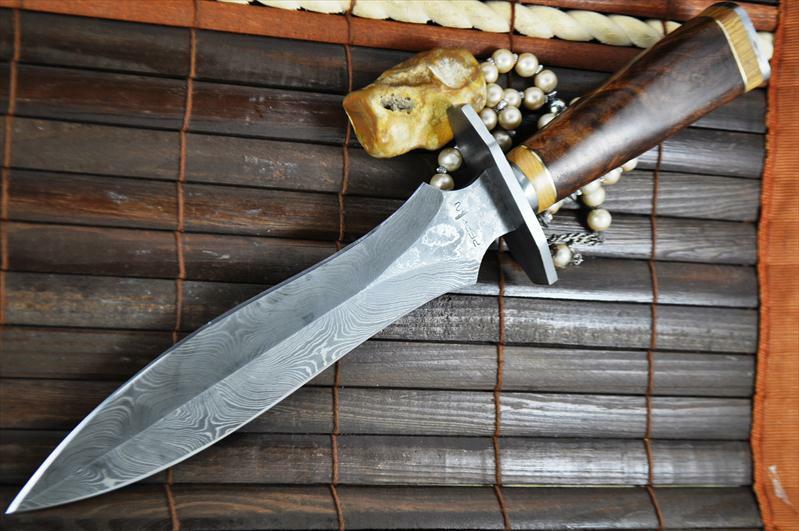 Reminds me of a Roman Short Sword. I’m a collector and it’s going into a display case, so I can not comment on it as a hunting knife. 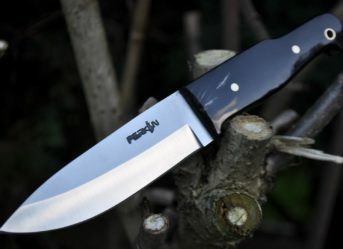 I think to the scene in RAMBO when the Sheriff asks Rambo what he is carrying the monster knife for, and Rambo says Hunting. Sheriff says,”Hunting for what”??? Rambo replies “NAME IT”. I LOVE THIS KNIFE.